"You are not wanted here. Go away from Hallstead Island or you will be very sorry you stayed." Macy Stoddard had hoped to ease the grief of losing her parents in a fiery car crash by accepting a job as a private nurse to the wealthy and widowed Alexandria Hallstead. 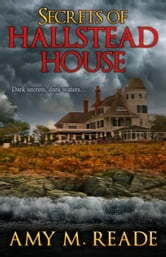 But her first sight of Hallstead House is of a dark and forbidding home. She quickly finds its winding halls and shadowy rooms filled with secrets and suspicions. Alex seems happy to have Macy's help, but others on the island, including Alex's sinister servants and hostile relatives, are far less welcoming. Watching eyes, veiled threats. . .slowly, surely, the menacing spirit of Hallstead Island closes in around Macy. And she can only wonder if her story will become just one of the many secrets of Hallstead House. . . Very good. Kept me wanting to read and read. A page turner for sure. Plenty of suspense. I recommend this book. I really enjoyed reading this book it had twists and turns at every page was a good mystery and fun to read really enjoyed it! Good read! Loved the stories of the different islands. Loved that it was hard to solve the mystery and kept me guessing until the very end. The setting for the book, the Thousand Islands is so perfectly described that I felt I was there. The characters come alive and I was in the house with them. Through the twists and turns of the plot, I stayed riveted.